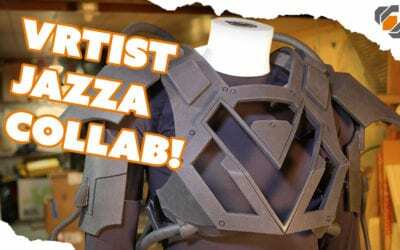 Foam is an amazing material to craft props and costume armor. We mostly use EVA foam floor mats, which you can find locally in hardware stores! 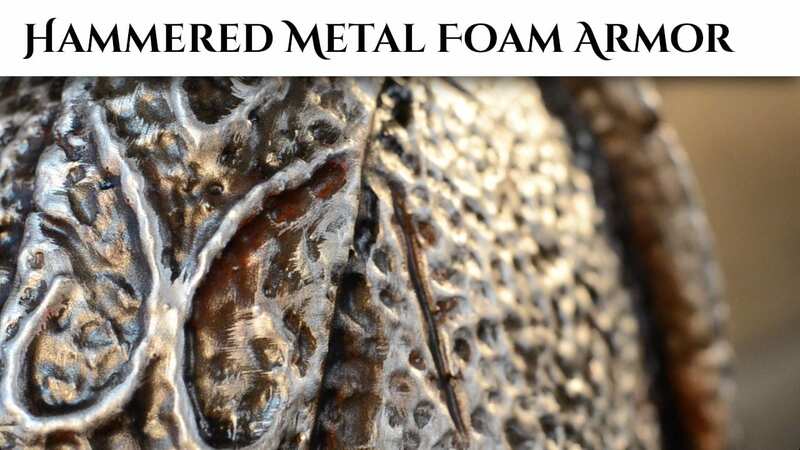 Foam can be easily cut, heated and formed, glued, beveled, and painted. 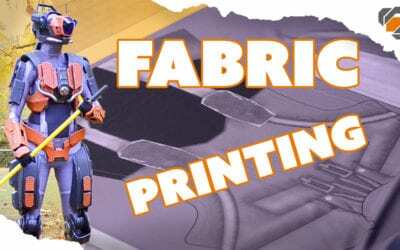 Learn everything you need to fabricate, paint, and wear your stunning foam armor creations in our Foamsmith Books. 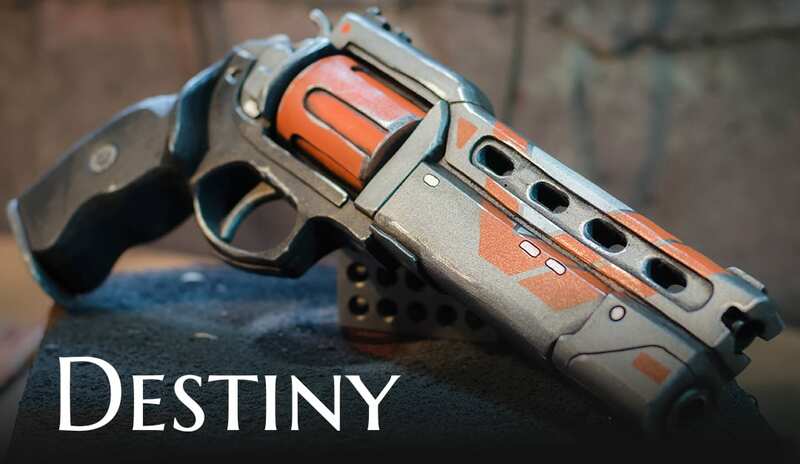 Also, check out the amazing creations submitted to our Foamsmith Photo Gallery. 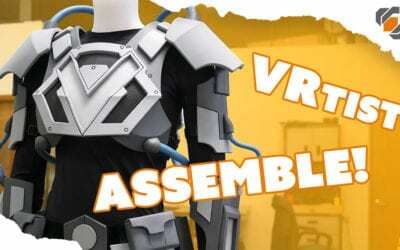 We have several builds for our foam props, costumes, and techniques listed below. Also, our collection of foam crafting tools and materials are gathered here. What’s better than playing Fortnite? Making props from Fortnite! Follow along as Bill builds the Tactical Submachine Gun prop using basic materials like XPS insulation foam and basic tools like knives and sand paper. 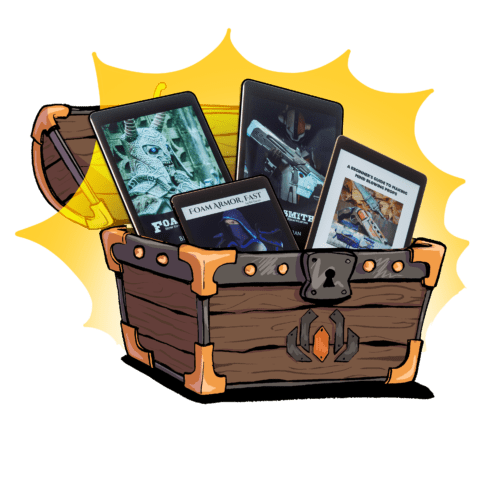 Grab the free blueprints to build your own! Bill & Britt team up for an epic Sea of Thieves build! 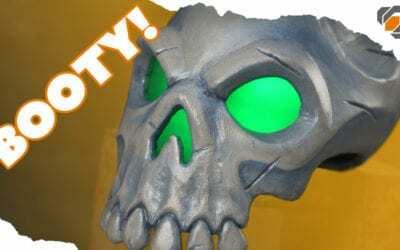 Follow along on their one day build journey as they craft a skull out of EVA foam using basic tools and materials. Using EVA foam and a rotary tool, Britt carves her own version of Surtur’s skull-like crown from Thor: Ragnarok. 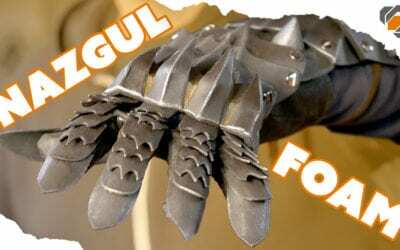 Making super clean cuts with a knife in EVA foam can improve the quality of your prop and costume projects dramatically. 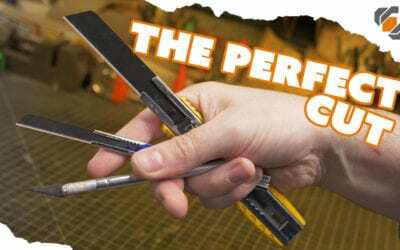 Follow along as Bill discusses the tools and techniques he uses to get perfect cuts in EVA foam. 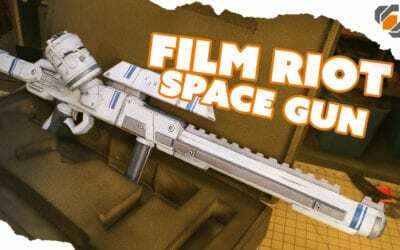 When the gang at Film Riot needed a space rifle made, they called Bill! 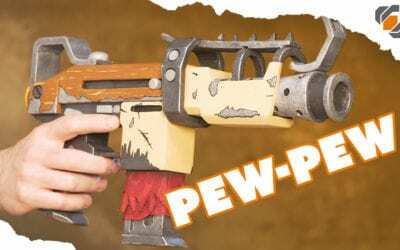 In this video he shows how he built a modular prop gun using EVA foam and PVC pipe. 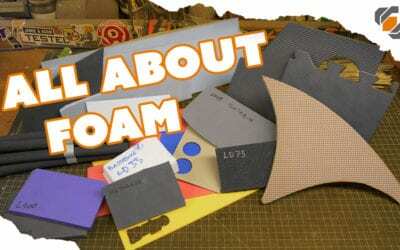 Bill sits down to talk foam, specifically the many varieties of EVA foam, where to get it, and which types are his favorites. 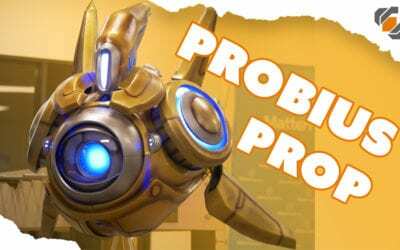 Bill and Britt teamed up to build a life sized, motorized replica of Probius the Protoss Probe from Heroes of the Storm and Starcraft! Check out their series of videos documenting the build process as well as a look at Probius’ adventures at BlizzCon. 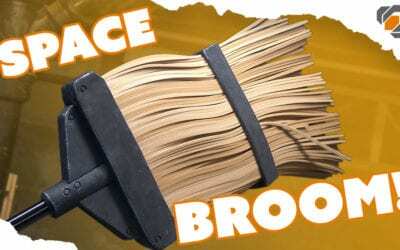 To help Brittany finish up her Destiny Sweeper Bot costume, Bill built a space broom out of EVA foam floor mats!